A decade and a half into cinema’s second century, Hollywood’s top-of-the-line products—the special effects-heavy, PG-13 (or less) rated, big-budget blockbuster movies that dominate the summer and holiday seasons—attest to the renewed centrality of serialization practices in contemporary film production. At the time of writing, all entries of 2014’s top ten of the highest-grossing films for the American domestic market are serial in one way or another: four are superhero movies (Guardians of the Galaxy, Captain America: The Winter Soldier, X-Men: Days of Future Past, The Amazing Spider-Man 2: Rise of Electro), three are entries in ongoing film series (Transformers: Age of Extinction, Dawn of the Planet of the Apes, 22 Jump Street), one is a franchise reboot (Godzilla), one a live-action “reimagining” of an animated movie (Maleficent), and one a movie spin-off of an existing entertainment franchise (The Lego Movie) (“2014 Domestic”). Sequels, prequels, adaptations, and reboots of established film series seem to enjoy an oft-lamented but indisputable popularity, if box-office grosses are any indication. While original content has not disappeared from theaters, the major studios’ release rosters are nowadays built around a handful of increasingly expensive, immensely profitable “tentpole” movies that repeat and vary the elements of a preceding source text in order to tell them again, but differently (Balio 25-33; Eco, “Innovation” 167; Kelleter, “Einführung” 27). Furthermore, as part of transmedial entertainment franchises that expand beyond cinema, the films listed above are indicative of contemporary cinema’s repositioning vis-à-vis other media, and they function in conjunction with a variety of related serial texts from other medial contexts rather than on their own—by connecting to superhero comic books, live-action and animated television programming, or digital games, for example. The current prominence of serialization and franchising practices in American blockbuster cinema thus points to a redefinition of the individual feature’s role within the larger media landscape: big-budget tentpole features, it seems, no longer function as singular apexes of cinematic production whose central task is to outperform other movies, but have instead become nodes in networks of related media texts and fulcra for audiences’ ongoing engagement with constantly expanding entertainment franchises. This chapter engages with the current prominence of film series at the box office and argues that it is expressive, on the one hand, of the economic and medial logics that undergird much of popular culture in the era of digitization and media convergence, while it is also indicative, on the other hand, of a shift in the subsumption of cultural activity under the needs of capital—a shift that entails a remodeling of leisure time and recreational media consumption into a source of economic value. Blockbuster series, I argue, participate in this shift by redefining cinematic experience as a gateway into a set of attendant consumption practices, and by encouraging audiences to participate actively in the proliferation of entertainment franchises. This endeavor entails turning the reception practices of audiences into what Tiziana Terranova has termed “free labor”—i.e. unpaid and voluntarily given cultural work that provides and manages content (73-94)—and it hinges on blockbuster cinema’s ability to transform viewers from passive spectators into active participants in the array of cultural production that accompanies major feature films. Contemporary blockbuster cinema’s embrace of serialization practices, I argue, thus amounts to a politics of audience activation aimed at encouraging viewers to follow a serial franchise over longer periods of time and across media platforms. This politics of activation manifests itself centrally at the level of narrative form, in textual devices and mechanisms tailored to encourage attendant consumption practices. The second half of this chapter identifies narrative strategies that become productive for this politics of activation by discussing a particularly successful group of blockbuster series, namely the current wave of adaptations of Marvel superhero comics properties. More precisely, this chapter looks at the recent entries in the Disney/Marvel Studios’ “Marvel Cinematic Universe,” a franchise of interconnected films in which each centers on the protagonists of Marvel Comics titles. These superhero movies constitute exemplary cases for blockbuster cinema’s turn towards serial formats because they combine different modes of serialization that are, taken separately, also at work elsewhere in contemporary Hollywood production. In fact, I suggest that it is their particular combination of linear serial storytelling, a transmedial serialization of content across different platforms, and the less linear seriality typically associated with remakes and adaptations, that provides these (and other) superhero blockbusters with a competitive advantage over non-serial film releases. As I will discuss towards the end of this chapter, contemporary blockbuster cinema’s propensity for serialization practices points us to the media-saturated environment of the digital era in which all kinds of content are just a mouse-click or a Google search query away, and in which the Internet’s countless legal and illegal streaming and download archives provide audiences with unprecedented possibilities for accessing popular culture. Before I examine blockbuster series’ narrative mechanics and their relationship to the media ecology of the digital era, however, I will delineate the relationship of serialization practices to some basic aspects of the political economy of large-scale, commercial cultural production (or mass-addressed popular culture) in general. Commercial cultural production, I argue, is always characterized by a basic seriality of products and consumption practices—a seriality which results, on the one hand, from producers’ attempts to outdo competitors by carefully balancing established success formulas and innovative ideas in the creation of their products, as well as, on the other hand, from the social context of capitalism that configures the recreational consumption of cultural commodities as a recurring activity that is never exhausted by an isolated film or media text. After discussing these basic aspects of the political economy of culture-industrial production, I will turn my attention to how contemporary blockbuster series situate themselves in relation to these social processes, and to digitization’s role in this respect. Successful media franchises, like the ones built around superhero blockbusters, I suggest, tap into popular culture’s basic seriality, make it explicit and operationalize it for their own competitive advantage. The post-cinematic condition of the digital era and its exponential proliferation of media channels, on the other hand, brings the basic seriality of cultural commodity production back into the spotlight by foregrounding the character of individual films as mere moments in an ongoing flow of content. While films that are part of established series and franchises, and superhero movies in particular, do exceptionally well at the box-office, they also prompt complaints by cultural critics who bemoan the recycling of established properties and narratives as proof of Hollywood’s lack of originality and the decreasing quality of its products, which they take as symptomatic for a more general cultural regression. Such discourses, as Kathleen Loock and Constantine Verevis have pointed out, usually characterize practices of remaking, rebooting, adaptation, and sequelization as a cultural malady or “sequelitis,” and “condemn serial film . . . for its commercial orientation and automatic self-cannibalization” (2). These easy dismissals of cinematic serialization practices, however, not only disregard “the fact that cinema has repeated and replayed its own narratives and genres from its very beginnings” (Loock and Verevis 2)—they also underestimate the centrality of popular seriality as a principle for large-scale commercial cultural production in general. Understood as the constant repetition, variation, and development of successful plots, characters, properties, iconographies, and motifs in the commercial production of culture, seriality is at the heart of the film business as a particularly capital-intensive arm of the entertainment industries (see also Tryon, “Reboot” 433). It is thus not a coincidence that modernist accounts of mass culture like Max Horkheimer and Theodor W. Adorno’s theory of the culture industry identify the reliance on familiar narrative patterns, schemata, stock scenarios and characters, as well as styles as a defining feature of capitalist cultural production (see Horkheimer and Adorno 94-97; 106-07). The repetition or imitation of established success formulas allows producers to capitalize on material whose features have already proven their mass appeal; through product differentiation and variation, on the other hand, producers seek to gain a competitive advantage over other commodities on the market. Seriality in this sense is neither the exclusive domain of serial narratives nor a pathological exception to the normal operations of the market, but rather a fundamental aspect of the industrial production of culture that results from its commercial orientation and producers’ attempts to meet popular demand. At the same time, as Horkheimer and Adorno point out, it would be a mistake to attribute the culture industry’s propensity for successful formulas to popular demand alone, as the needs of audiences are always already shaped by the specific social contexts and power relations of capitalist societies (see Horkheimer and Adorno 96; Adorno, “Thesen”). Within this context, Adorno argues, “[f]ree time,” and with it, recreational media consumption, is “shackled to its opposite,” i.e. to time that is not free but “heteronomous” and dictated by the necessity to work and earn a living; the social function of recreational activities is therefore defined by their relation to work and the daily routines of the working day (“Free Time” 187). Activities like reading a novel, listening to the radio, or going to the movies, Adorno suggests, need to prove their usefulness for individuals by contributing to the reproduction of their labor-power as entertainment or amusement (see Horkheimer and Adorno 109; Adorno, “Free Time” 187-90). Recreational media consumption therefore needs to blend smoothly into the rhythms of everyday life, and to further the productive integration of the individual into society. What interests me about Adorno’s thoughts on leisure time here is that they allow us to conceptualize the production and consumption of cultural commodities as interconnected realms of social practice that are both informed by a serial logic: on the one hand, the culture industry’s commodities are marked by the constant repetition and variation of familiar formulas; on the other, the reception of these mass cultural products is part of a recurring everyday practice that reiterates itself on a regular basis, within slightly varying situations, and against a backdrop of previous media consumption. Cultural commodities, such as the entries of popular film and media franchises, are thus doubly implicated in the reproduction of capitalist relations: as products of a profit-oriented industry that realize their surplus value by circulating through markets, and as objects of our recreational media consumption practices that offer a temporary escape from the routines and (a)rhythms of work, school, or unemployment, but simultaneously prepare us to face them again. It is this constellation which allows blockbuster movies and other popular media texts to become socially productive—not as isolated works or through singular acts of reception, but as part of what Jason Edwards calls “everyday practices of production and consumption” that, because they recur on a regular basis, reconstitute capitalist relations on a micro level (283). If commercial cultural production is always already implicitly serial, then serial narratives make this seriality explicit and exploit it for their purposes. Popular series, like the blockbuster series that interest me here, accommodate the contradictory demands for innovation and repetition put forward by the capitalist marketplace by turning them into an organizing principle that governs the relationship between individual installments and the consecutive unfolding of their narratives over longer periods of time. Serialization in this more specific sense involves, as Frank Kelleter notes, telling “the same [story] again, but in a new way,” i.e. the repetition and variation of established character constellations, plots, and motifs in ever new constellations (“Einführung” 27—my translation; see also Eco, “Innovation” 166-172). Perhaps the most obvious form of serialization entails the unfolding of a story across several installments within the same carrier medium, along with the creation of a continuity across the “narrative break” between episodes (Hagedorn 7). Blockbuster series implement this mode of serialization by centering each of their installments on one or several recurring characters—like the titular heroes of film adaptations of superhero comics, or Pirates of the Caribbean’s Captain Jack Sparrow and his sidekicks—who are developed over the course of a serial unfolding that might span several years, or even decades (as is the case with the Star Wars films). Typically, the individual installments of film series offer all the appeals of stand-alone blockbusters, including the attractions of diverse ensemble casts and the performances of big-name actors, spectacular special effects and action scenes, as well as the reassuring framework of a relatively self-contained three-act narrative built around the eventual resolution of a central conflict. Like serial narratives of other media and periods, however, serial blockbusters usually leave several plotlines unresolved and open for further development; at times, they even foreground this refusal to offer complete narrative closure by relying on tropes like the cliffhanger and ending “at a point of unresolved narrative tension” (Hagedorn 7). Back to the Future (1985), for example, ends with the prospect of another time travel adventure that is continued in the 2015 time-frame of its sequel, much like Thor: The Dark World (2013) concludes with a scene that has the protagonist’s evil brother Loki impersonating their father Odin, thus setting the stage for the next Thor movie. By refusing to provide complete narrative closure at the level of individual films, each installment of blockbuster series, to borrow Roger Hagedorn’s words, “functions to promote consumption of later episodes” and invites audiences to return to the series in the future (5). To put it differently: like all serial narratives, blockbuster series seek to exert control over the recreational media consumption practices of audiences and attempt to encourage a regularly recurring consumption of their installments. Accordingly, Hagedorn characterizes serial narratives as an “ideal form of narrative presentation under capitalism,” as uniquely attuned to “a social system which perpetually defers desire in order to promote continued consumption, and whose mass media represent a major form of commercial enterprise” (12). By encouraging a serialized reception, blockbuster series, like other serial narratives, link otherwise disparate instances of media consumption, set them into a larger serial context, and structure them according to their specific rhythms of publication—like all series, in other words, they subscribe to a politics of ongoing engagement and, since they are unashamedly commercial, tell their stories in a way that attempts to inspire more consumption. Serial narratives, however, also exhibit a number of features that are not easily accounted for within the Marxist framework that I have sketched thus far. While helpful to understand how films and other kinds of media content do not merely represent or reflect social processes, but in fact “lie at the very heart of social production, circulation, and distribution” (Shaviro, Post-Cinematic 3), Horkheimer and Adorno’s sketch of structurally coupled spheres of production and consumption cannot, for example, adequately account for the active role that audiences take in the proliferation of contemporary media franchises. For the authors of the Dialectic of Enlightenment, mass media like film, radio, or television know “[n]o mechanism of reply” through which audiences could exert influence on the output of the culture industry (Horkheimer and Adorno 96); as a result, they conceive production and consumption as mutually interdependent but separate systems whose operations do not interfere directly which each other. Serial narratives like the blockbuster series I will discuss in the next section, however, owe a large measure of their popular appeal to their responsiveness to the reactions and opinions of audiences that results from a temporal overlap between their production and reception. In addition, the convergence of formerly separate media in the supra-medium of digital code, the widespread availability of Internet access, and the resulting formation of a global online public have had a significant impact on the way in which contemporary popular culture is produced, circulated, as well as consumed, and given rise to new dynamics of interaction between producers and consumers. In this context, it is significant that the consumption of serial narratives provides an occasion and a framework for the imagination of communities and collective action, or, in the words of Shane Denson and Andreas Jahn-Sudmann, for processes of “collective serialization,” as they offer themselves as “potential bases for the recognition and negotiation of shared experience” (12, 16; see also Mayer 14-21). The collective activities of audiences (which might be more or less organized, and range from mere viewing to active participation in fan communities), in turn, have the potential to feed back into the production processes of the series itself. Because the production of later installments of a film series typically does not begin until well after earlier ones have been released, producers, directors, authors, and other creatives can observe and react to the popular reception of their works as it manifests itself in the returns from the box-office and ancillary markets, in reviews and other journalistic discourse, as well as in the cultural and textual production of non-professional audiences which the Internet makes accessible to a global public. Serial films thus unfold recursively, in constant dialogue with their viewers, the medial discourses surrounding them, and in competition with other series (see Kelleter, “Einführung” 19-25; Jahn-Sudmann and Kelleter 207). 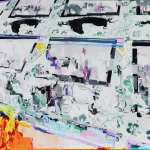 Rather than representing a closed-off, self-contained, and static body of films produced by an unresponsive culture industry, then, blockbuster series can be considered to emerge from “the complex and uneven interactions of authors, audiences, and larger institutional configurations,” in Ruth Mayer’s formulation, as these are “propelled by the varying media and medial formats of choice, [and the] technological, political, and cultural contours of these media environments” (6). Considering audiences as active participants in the proliferation of contemporary media franchises has implications for the sketch of the political economy of commercial popular culture that I presented above. If serial narratives emerge from constellations of interaction between producers, consumers, media, institutions, and their cultural and political contexts, we can consider the activities of audiences as part of blockbuster series’ unfolding rather than as something that is opposed to or strictly separated from the activities of producers or the operations of the films themselves. From this perspective, consumers’ engagements with contemporary media franchises—from steady and regular reception of new installments to the consumption of paratextual materials and the active participation in online forums dedicated to the discussion of film series—appear as a form of work that productively contributes to the cultural visibility, commercial success, and continuation of film series. Somewhat paradoxically, for the audiences who engage in it, this work constitutes part of their recreational (or reproductive) practices—in other words, it appears precisely not as work, but as a leisure activity that is nonetheless economically productive, i.e. as a form of what Tiziana Terranova describes as a “knowledgeable consumption of culture [that] is translated into excess productive activities” (78; see also Stanfill and Condis). This type of “simultaneously voluntarily given and unwaged” work, Terranova argues, constitutes “a feature of the cultural economy at large, and an important, yet unacknowledged, source of value in advanced capitalist societies [in general],” but it is of special significance for commercially operated online communities, which thrive on their users’ readiness to generate, share, and manage content online (74, 73). Similarly, Mel Stanfill and Megan Condis have noted that the activities of textually and culturally productive film and television fans can be understood as “free labor” in this sense: i.e. as pleasurable activities that do “not register as labor at all,” but which, by fulfilling promotional and marketing functions for the franchises to which they relate, nonetheless become economically productive once they feed back into the production process (see also Terranova 73-97; Bolin 807-808; De Kosnik). More categorically, however, I would argue that it is not just the activities of dedicated fans that can be captured and appropriated as “free labor,” but that any kind of reception practice is potentially economically productive once it is captured by digital and networked environments and becomes accessible to both producers (as a means of feedback and audience surveillance) and to other members of the audience (as a form of free promotion, marketing material, or other kind of paratextual discourse) (Bolin 797, 801). By encouraging audiences to engage in active (and, at times, textually productive) reception practices, blockbuster series (and the franchises of which they are part) thus entangle the spheres of production and consumption. In this respect, blockbuster series might be understood as contraptions for the exploitation of audiences’ time, attention, and cultural activity, or, to put it differently, as mechanisms for the extraction of economic value from the recreational practices of their viewers. The importance of audience practices for the commercial success and continued proliferation of media franchises has not gone unnoticed within media and cultural studies, although research on the subject rarely discusses these issues explicitly in terms of labor and its economic productivity (nor in terms of seriality, for that matter). Producers’ vested interest in encouraging particularly active reception practices, however, also registers in the work of media scholars like Henry Jenkins, whose perspective on matters of “participatory” culture is more optimistic than the one presented here. In his study Convergence Culture, for example, Jenkins describes how building and steadily expanding a base of loyal consumers is one of the main objectives of contemporary content providers, and how it accordingly affects industrial practices from marketing to storytelling strategies. Jenkins suggests that the activation of viewers is a key element in what, in passing, he terms “affective economics,” i.e. producers’ attempt to establish an affective or emotional bond between product and consumers to encourage repeated acts of consumption (63; see also 63-72). For the industry, Jenkins argues, the ideal viewer is one who not only consumes several installments of the same franchise, but who also acts as a “brand advocate” or “inspirational consumer,” actively promoting a franchise by spreading the word online (Convergence 73; see 68-74). Producers of popular media franchises, in other words, attempt to capitalize on the “viral” marketing possibilities of digital and networked media in which, as Steven Shaviro notes, information seems to flow freely and multiply in a kind of “massive self-replication” by passing “from person to person in the manner of an epidemic contagion” (Shaviro, Connected 13). Producers, as Jenkins observes, encourage audiences to engage in this kind of voluntary marketing and promotion activity by increasing the “the sum total of interactions with the customer [in] an ongoing process that . . . occurs across a range of different media” (Convergence 63). For Jenkins, franchises built around blockbuster film series like the The Matrix Trilogy (1999-2003)—franchises that address audiences through a variety of additional media channels, from short films to digital games and online content—constitute prime examples of this endeavor to involve and activate audiences (Convergence 93-130). From a similar perspective, Chuck Tryon has pointed out that contemporary Hollywood production has redefined the role of the individual feature in the lineup of its products: since feature films now serve “primarily as a means of stimulating interest in the wider media franchise,” film production has embraced a notion of textual “incompleteness” that reframes “the narratively contained world of the feature film . . . [as] the exception, as target audiences are encouraged to extend their consumption into other outlets beyond the initial screening” (Reinventing 29, 26, 30). Returning to the terminology introduced above, we can re-articulate these observations about contemporary Hollywood cinema’s marketing logics to describe what one could call the formal and medial politics of blockbuster series: in order to remain competitive in a situation in which audiences consume a variety of media texts on a regular basis, Hollywood studios rely on practices of narrative serialization—within the medium of film, but also across different media—in order to increase consumers’ exposure to their products, to encourage them to consume installments of a franchise on a regular basis, and to capitalize on viewers’ free cultural and textual production. As I will discuss in the remainder of this chapter, these politics of activation become manifest predominantly on the level of narrative form, in the ways in which (post-) cinematic serialization practices delineate or demarcate specific vectors for audiences’ engagement with the texts that make up blockbuster franchises. The ubiquity of serialization practices in contemporary blockbuster cinema is closely related to a number of larger economic and medial transformations of the last two decades—developments which are themselves intricately connected to digitization’s impact on the ways in which films are produced, distributed, and consumed. Tino Balio has noted how a number of interrelated shifts and crises within the film industry have put increased economic pressure on the major studios: the bursting of the dot-com bubble in the early 2000s and the resulting financial losses for American media conglomerates, the decline of DVD sales resulting from the emergence of (legal and illegal) video streaming services and the proliferation of cable television channels, as well as the falling returns from theatrical and home video releases in the wake of the 2008 financial crisis “placed increasing demands on the major studios to improve their parent companies’ bottom line” (Balio 23; see also 8-24). As a response, Balio argues, studios have shifted their focus to the production of “more and bigger franchises that are instantly recognizable and exploitable across platforms and all division of the[ir] [parent] compan[ies]” (25). This turn towards franchising and serialization practices in a moment of industrial crisis is not without precedent. Since serial texts, as Hagedorn notes, “serve to promote the medium in which they appear,” they have repeatedly played a central role in the promotion of specific historical carrier media, and they have done so typically in moments of medial transformation (5). The serialization of cinematic output therefore constitutes a strategy for securing cinema’s standing in a situation in which it no longer operates as a cultural dominant, and in which audiences’ access to all kinds of media content—and, with it, the competition between formats and channels—has increased exponentially (Jenkins, Convergence 2-3, 74-79; Shaviro, Post-Cinematic 1-2). What is new in this respect is the degree to which today’s producers of media content aim for a horizontal integration of different markets and media under the banner of shared brands, and how the objective to produce content that provides intensified, long-term immersive experiences now informs film production from the beginning (see Grainge 54-60; Jenkins, Convergence 95-96). The goal of such efforts, as Paul Grainge points out, is the creation of “total entertainment,” i.e. “an expansive entertainment and communication environment in which [media conglomerates] have a . . . near total stake in terms of ownership and control,” and in which revenue streams are maximized across a range of media channels (54). The reach of cinematic serialization practices, in other words, is no longer limited to the medium of film alone; instead, blockbuster films are now designed from the outset as parts of franchises that expand transmedially as well. At the same time, and as noted at the beginning of this chapter, practices of remaking and adaptation also enjoy a perhaps unprecedented popularity in contemporary Hollywood production. Recent releases are thus frequently embedded in complex relationships to other media texts—like 2006’s Southland Tales by director Richard Kelly, for example, whose plot only covers the final three “chapters” of a six-part narrative begun by a trilogy of graphic novels—or they present themselves as adaptations, remakes, or reboots of established properties, characters, and source materials from other medial contexts (as is the case with the Harry Potter film series, Sony’s recent reboot of the Spider-Man franchise, or 2008’s remake of The Day the Earth Stood Still). In this respect, the recent wave of cinematic takes on comic book superheroes most saliently embodies the serial logics of contemporary blockbuster cinema, as these films—as adaptations of comic book properties which unfold serially within the medium of film, but also expand into other media—combine different modes of serialization more consistently than other recent productions. For example, Marvel Studios’ “Marvel Cinematic Universe” (or MCU), the most successful superhero film franchise to date, represents a confluence of linear serial storytelling, transmedial serialization, and remaking/adaptation practices. Starting with the releases of Iron Man and The Incredible Hulk in 2008, the MCU has since expanded to an immensely profitable entertainment franchise that encompasses multiple feature films, including the Captain America, Guardians of the Galaxy, and The Avengers movies, as well as a number of series in other media. All entries of the MCU take place within the same shared story-world and, in the case of the feature films, each focuses on the exploits of one or more superhero characters originating in Marvel comic books. Rather than simply constituting one series, then, the MCU is organized into a number of interconnected but nominally separate sub-series—i.e. Iron Man, Hulk, Thor, and Captain America films whose narratives occasionally overlap and intersect. Each of the films nonetheless functions as an installment in the larger series of Marvel Studios films, and not only because they are marketed accordingly: each release shares narrative elements with other films in the series, and relates to the preceding and following installments of the MCU within a relatively straightforward, linear temporal sequence. The diegetic events of Iron Man (2008), for example, are followed by those of The Incredible Hulk (released later that same year), and have an impact on the plot of Iron Man 2 (2010), which, in turn, foreshadows events from Thor (2011); The Incredible Hulk similarly introduces plot elements that would resurface in Captain America: The First Avenger (2011); finally all protagonists join forces in 2012’s The Avengers, followed by further individual adventures in Iron Man 3, Thor: The Dark World (both 2013), Captain America: The Winter Soldier (2014); 2014’s Guardians of the Galaxy and 2015’s Ant-Man add new superheroes to the franchise, and so on. The MCU’s take on serial storytelling in this respect mirrors the “multi-linear” organizational logics of the Marvel comics oeuvre and its order of multiple parallel and occasionally overlapping plots (Kelleter and Stein 274-282). Within this order, various characters, objects, and events routinely cross over from one film and sub-series into the next—the character of Agent Coulson, for example, is introduced in Iron Man, reappears in Iron Man 2 and Thor, and eventually dies in The Avengers (only to be resurrected as one of the main characters of the ABC television show Agents of S.H.I.E.L.D. a year later). Aside from progressing linearly within the cinema, however, the MCU also reaches across media to include not only the television series Agents of S.H.I.E.L.D. (ABC, 2013-), but also a series of short films titled Marvel One-Shots (included as bonus content on the Blu-Ray releases of the franchise), as well as several comic books and digital games (not to mention truckloads of licensed merchandising products). While the serial unfolding of the MCU within the medium of film is relatively linear, this transmedial expansion complicates the narrative linearity of the franchise by introducing additional, media-specific models of serialization, each with its own norms of episodic closure or openness, rhythms of publication, and demands for audience engagement. While the films of the MCU have by now established a rhythm of two releases per year, Agents of S.H.I.E.L.D. follows the model of what Jason Mittell has called “narratively complex television,” relying heavily on ongoing storylines that it develops on a weekly basis, and which unfold over the course of several episodes and seasons (“Narrative Complexity” 29-33). Despite these differences, Agents of S.H.I.E.L.D connects directly to the films of the MCU; accordingly, the alien invasions, government conspiracies, and character deaths that occur in The Avengers, Thor: The Dark World, and Captain America: The Winter Soldier produce immediate consequences for the protagonists of the television show, whose adventures frequently involve dealing with the fallout from these and other world-shattering events. In contrast, the Marvel One-Shots—which are included on the Blu-Ray releases of the MCU’s feature films, but also circulate informally via online video portals like YouTube, Vimeo, and Dailymotion—present themselves as self-contained, anecdotal short films or vignettes that center on minor characters from the movies. Taken together, the One-Shots function along the lines of an anthology of episodic installments, whose narratives remain mostly inconsequential for the larger storyworld of the franchise but nonetheless “derive their significance from the larger context in which they were produced” (as Ruth Mayer puts it in her contribution to this volume). In combining feature films with short films and the television series, the MCU represents the quintessence of what Henry Jenkins has termed “transmedia storytelling,” i.e. a mode of narration in which “integral elements of a fiction get dispersed systematically across multiple delivery channels for the purpose of creating a unified and coordinated entertainment experience” (“Transmedia,” emphasis in the original). Transmedial and multi-linear serial narration are, however, not the only modes of serialization at work in the MCU, as the franchise as a whole presents itself as merely one among many incarnations of the Marvel comics universe. Since the MCU adapts the adventures of well-established figures like Iron Man, Captain America, and the Hulk to the big screen, its iconic characters also exist elsewhere, in other narrative continuities and media. Before Edward Norton took on the title role of 2008’s The Incredible Hulk, for example, Eric Bana played a different version of the same character in the Ang Lee-helmed Hulk (2003), which was, in turn, only the first cinematic incarnation of a figure that had been the protagonist of a long-running television show, The Incredible Hulk (CBS, 1977-1982, starring Lou Ferrigno and Bill Bixby as Hulk and his alter ego Dr. Banner, respectively) and a series of follow-up made-for-television movies. In the same vein, the cinematic and televisual takes on the Hulk follow, and co-exist with, other versions of the character from Marvel’s comic book series. The protagonists of the MCU’s feature films all possess similar prehistories of appearances in other media and contexts—they are, as Shane Denson and Ruth Mayer have put it, “serial figures” that undergo a virtual reboot or rebirth with each new incarnation, but that nonetheless remain recognizable and familiar since they retain (and accrue) their iconic features across their multiple reincarnations (186-191; Denson 537). The relationship between the MCU and earlier and alternative versions of its titles is thus marked by what Denson has termed “a non-linear form of ‘concrescent’ (compounding or cumulative) seriality” that characterizes practices of rebooting, remaking, and adaptation in general (Denson 532). As part of this larger, non-linear serial trajectory, the MCU shares its central characters—but not a narrative continuity—with the comic book properties on which it is based. In telling their stories, the films of the MCU can thus function, to borrow a formulation from Umberto Eco, as “catalyzers of collective memories” that draw on a wealth of preexisting storylines, character constellations, motifs, and iconographies, and restage these elements in a different context in order to present them as simultaneously new and as already familiar (“Casablanca” 3). The MCU’s combination of linear serial storytelling, transmedial serialization practices, and the concrescent seriality typically associated with reboots and adaptations provides the franchise with several possible vectors along which it engages its audiences. Most obviously, the linear serial unfolding of the MCU serves to aggregate an (ideally steadily growing) base of cinemagoers who watch more than one film, and who eagerly await the next installment. At the same time, its transmedial spread enables the franchise to capitalize on the different affordances and temporalities of film, television, and home video to sustain public interest (as well as revenue streams) during the months-long gaps between film premieres, and helps to reach groups of consumers that otherwise fall outside of the movies’ target demographic. While the series’ linear and transmedial trajectories encourage the consumption of further installments and thus direct the attention of audiences to the future of the franchise, the MCU’s character as a cross-medial reboot locates it within a larger history of Marvel productions and calls attention to other parts (and pasts), of the Marvel canon. This multidimensional seriality expresses itself in a wealth of overt and hidden references to canonic storylines and characters, as well as to upcoming films and transmedia extensions, which reliably turn up in each of the MCU’s installments. 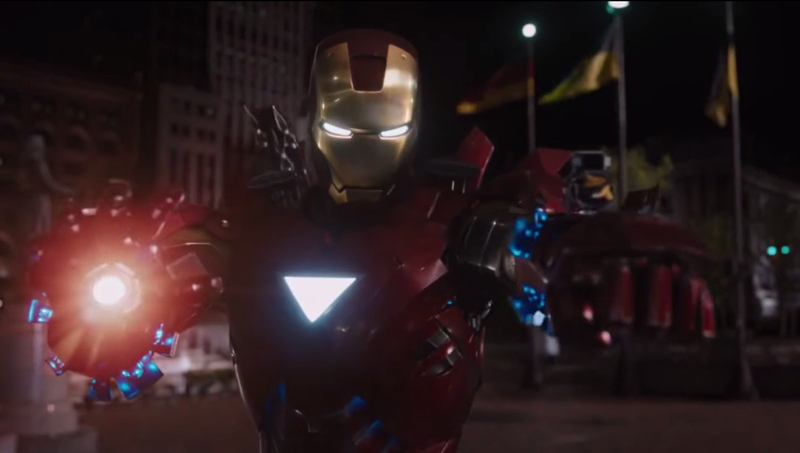 Most obviously, this intraserial intertextuality is on display in the post-credits sequences that have become a trademark of the franchise: after Iron Man’s end credits, for example, one such sequence foreshadows the Avengers team-up movie through an appearance of the character Nick Fury, known to readers of Marvel comics as the director of the fictional spy agency S.H.I.E.L.D. ; Iron Man 2 similarly ends with the discovery of Thor’s hammer Mjolnir as a connection to the next film (see also Stork, “Assembling”). In the same fashion, the first of Captain America: The Winter Soldier’s two post-credits sequences introduces the mutants Quicksilver and Scarlet Witch, as well as the villain Baron von Strucker (all three equally familiar from many appearances in Marvel comics), who afterwards feature as key characters in 2015’s The Avengers: Age of Ultron. In a similar manner to this inclusion of iconic figures and objects, the core narratives of the films regularly include characters that also turn up in the One-Shots or television series: S.H.I.E.L.D. agents Coulson, Sitwell, and Carter, for example, each appear in two or more films, star in at least one One-Shot, and feature as series regulars or recurring characters in ABC’s Agents of S.H.I.E.L.D. 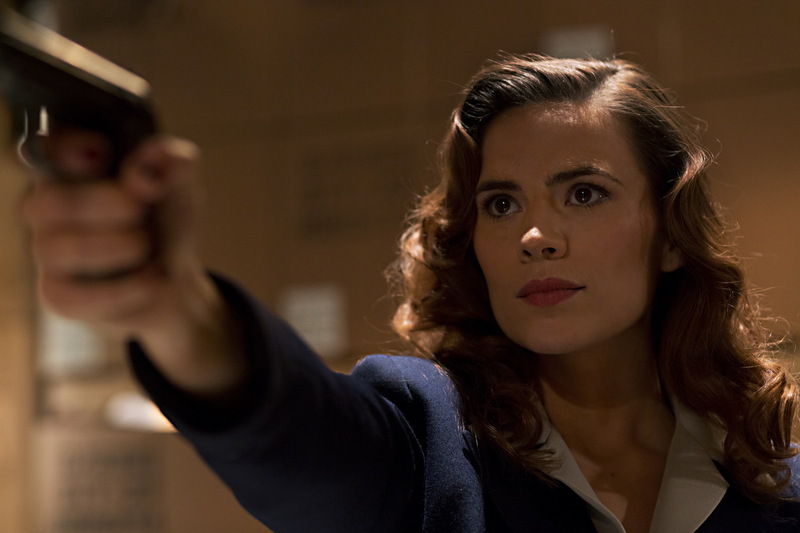 (In addition, an Agent Carter television series is set to premiere on ABC in 2015.) Other entries reference events from comic book lore that have not yet occurred in the MCU—The Incredible Hulk, for example, alludes to the supersoldier program that resulted in the creation of Captain America (in the character’s canonical comic book origin story, which also featured prominently in the first Captain America film, released two years later). In seeding these references, the MCU invites knowledgeable fans (and attentive viewers with access to online databases like the Marvel Cinematic Universe Wiki) to parse and trace various connections to multiple sources in preceding films, television shows, and comic books—and it simultaneously encourages its audience to return for future installments. In foregrounding the connections between films, transmedial extensions, and other Marvel properties, however, the MCU not only encourages further media consumption, but also invites its viewers to become active in the cultural production that accompanies it. The MCU’s complex relationships between films and television productions, as well as between the film franchise and other parts of the Marvel canon, has prompted considerable efforts to catalogue and annotate the multiple references, allusions, hints, and nods to other texts that can be found in each installment. Appearing in a variety of online spaces from commercially operated sites like Wired.com, io9.com, or Newsarama.com, to community-operated sites like the Marvel Comics Database or the Marvel Cinematic Universe Wiki (not to mention various private blogs and fansites), these paratexts provide what Kelleter and Stein have called a “metanarrative perspective” that reduces the narrative complexities of the franchise and renders it accessible to a broader audience (Kelleter and Stein 275—my translation; see also Mittell, “Orienting”; see Kistler; Rogers for examples). Together with the large body of other media coverage of the MCU, these metanarratives exemplify the contribution of audiences’ textual production for the further proliferation of blockbuster series, functioning as a form of free promotion that increases the cultural visibility of the franchise. It is no coincidence that blockbuster cinema is developing a propensity for serial narration at a point in time in which the widespread availability of digital and networked consumer electronics have elevated audiences’ access to media content to unprecedented levels. In more ways than one, the technical infrastructure of the convergence era makes viewers’ engagement with complex transmedial franchises like the MCU possible in the first place, as digital video formats from DVD to Blu-ray and (legal and illegal) streaming services enable easy access and allow for a reception of serial blockbusters at viewers’ own pace, at home, back-to-back, and in conjunction with all kinds of related media content (see also Harper 97-99). In this regard, we can understand the complex web of intertextual references spun by the MCU’s superhero films as resulting from what Lev Manovich more than a decade ago termed “the computerization of culture,” i.e. “the projection of [algorithmic and database logics] onto the cultural sphere” (Manovich 84). In this respect, the MCU’s reference-laden narratives operate as quasi-hypertextual interfaces that index a larger, constantly expanding body of interconnected franchise products to which access is mediated by various digital technologies and archives. From an economic perspective, in turn, the MCU’s “multidimensional” seriality appears as a means to address and mobilize viewers on multiple interlocking levels, which serves to direct their consumption practices towards a number of different offerings whose returns all benefit the same company. The combination of different modes of serialization thus constitutes a central element in the MCU’s overall commercial success, even if not all viewers engage with the franchise to the same degree. In fact, one could argue that it is one of the appeals of the MCU that, although the larger serial context is constantly evoked and referenced to encourage an ongoing serial reception, its entries still function as self-contained narratives that can be enjoyed on their own terms. In any case, while the multidimensional seriality of the MCU seems to represent an extreme example even in light of the contemporary prominence of cinematic serialization practices, the franchise’s profitability has already elevated it to the status of a model for other blockbuster series—as is evidenced by the current attempts of Warner Bros., Fox, and Sony to extend their own superhero properties into similar franchises (see Anders). What does the prominence of serialization practices in blockbuster cinema tell us about the current state of the medium? At the most basic level, it alerts us to the fact that blockbusters today rarely function in complete isolation from other texts, but that they instead constantly point beyond themselves, to the next installment of the series, to transmedial extensions, or to source materials from other medial contexts. Serial blockbusters thus exhibit a concern with narrative frames that are larger than just one film—an insight that, at least at first, seems to pit this particular group of films in opposition to other formal trends in post-cinema. 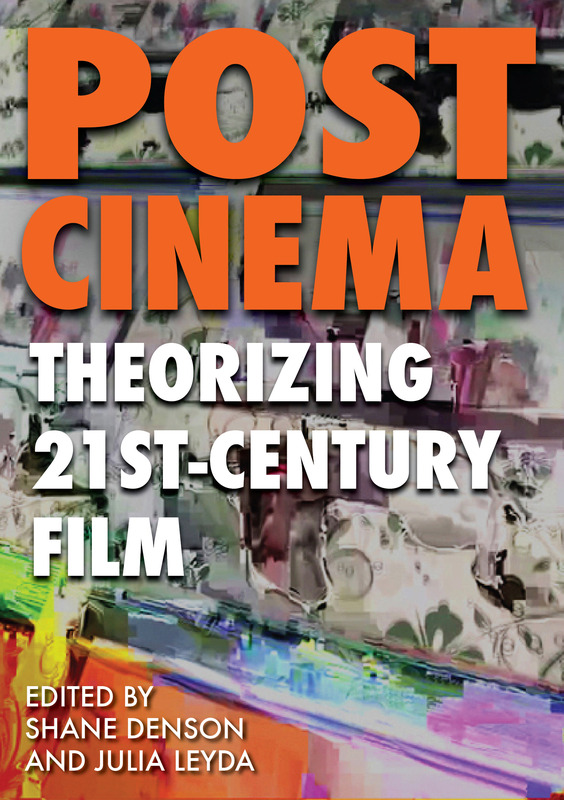 Writing about post-continuity editing styles in contemporary American action cinema, Steven Shaviro has argued that recent action films exhibit “a preoccupation with immediate effects [that] trumps any concern for broader continuity—whether on the immediate shot-by-shot level, or on that of the overall narrative” (Post-Cinematic 123; see also Stork’s “Chaos Cinema”). In contrast to action films like Neveldine and Taylor’s Gamer, or the entries of the Transformers and Bourne series, which eschew an emphasis on matters of narrative continuity in favor of a concern for immediate somatic responses and the modulation of affect, then, (superhero) blockbuster series foreground narrative coherence and the creation of an overarching framework (Shaviro, Post-Cinematic 122-24). Such a reading, however, would open up a false dichotomy between individual films and film consumption as an ongoing, inherently serial engagement, and occlude the circumstance that both post-continuity editing styles and (post-)cinematic serialization practices can be understood as different responses to the larger technological and medial transformations connected to processes of digitization. If, as I have argued, media consumption is always already marked by an implicit seriality of media texts, and if the digitization of entertainment media has increased the amount of content that is available to the individual consumer in an unprecedented manner, then post-continuity aesthetics and cinematic serialization both represent attempts to resituate cinema prominently within the never-ending flow of post-cinematic content: one attempt does so by employing an “accelerationist” film aesthetics that emphasizes cinematic kinetic potentials in a sensationalist fashion (Shaviro, Post-Cinematic 136-138), the other by foregrounding the serial character of media consumption and attempting to steer audiences’ reception practices towards an ongoing engagement with a specific franchise. In a certain sense, the MCU’s combination of different modes of serialization takes the current trend towards a serialization of blockbuster cinema to its logical conclusion. By presenting itself not so much as a string of singular event movies but instead, as Matthias Stork puts it, as several movies “rolled into one long-term marathon-like viewable package,” the MCU highlights the status of individual instances of film reception as mere links in a chain of similar and regularly recurring acts (“Assembling”). At the same time, it advocates an intensified and ongoing engagement with the franchise across films, transmedial extensions, and related texts as an ideal form of reception. In doing so, the entries of MCU and of other blockbuster series like it participate in an entanglement of production and consumption, and in a blurring of the boundaries between labor and free time that resonates with larger socio-economic trends in neoliberal capitalism. “2014 Domestic Grosses.” Box Office Mojo, n.d. Web. <http://www.boxofficemojo.com/yearly/chart/?yr=2014>. Adorno, Theodor W. The Culture Industry: Selected Essays on Mass Culture. Ed. J.M. Bernstein. London: Routledge, 2001. Print. —. “Culture Industry Reconsidered.” Adorno, The Culture Industry 98-106. —. “Free Time.” Adorno, The Culture Industry 187-197. —. “Thesen über Bedürfnis.” Gesammelte Schriften. Band 8. Soziologische Schriften I. Ed. Rolf Tiedemann. Frankfurt am Main: Suhrkamp, 1972. 392-96. Print. A Funny Thing Happened on the Way to Thor’s Hammer. Dir. Leythum. Perf. Clark Gregg, Jessica Manuel, Jeff Prewett, and Zach Hudson. Video. In: Captain America: The First Avenger. 2011. Agent Carter. Dir. Louis D’Esposito. Perf. Hayley Atwell, Dominic Cooper, Neal McDonough, Chris Evans, and Bradley Whitford. Video. In: Iron Man 3. 2013. All Hail the King. Dir. Drew Pearce. Perf. Ben Kingsley, Sam Rockwell, Lester Speight, and Scoot McNairy. Video. In: Thor: The Dark World. 2014. “All Time Worldwide Box Office Grosses.” Box Office Mojo, n.d. Web. <http://www.boxofficemojo.com/alltime/world/>. Anders, Charlie Jane. “Which Studio’s Attempt to Copy Marvel’s Movie Universe is Most Doomed?” Io9.com. Gawker Media, 31 Mar. 2014. Web. <http://io9.gizmodo.com/which-studios-attempt-to-copy-marvels-movie-universe-1555390988>. Back to The Future. Dir. Robert Zemeckis. Perf. Michael J. Fox, Christopher Lloyd, Lea Thompson, Crispin Glover, and Thomas F. Wilson. Amblin Entertainment, Universal Pictures, 1985. Film. Bolin, Göran. “The Labor of Media Use.” Information, Communication, & Society 15.6 (2012): 796-814. Print. Bond, Paul. “Adobe Predicts Summer 2014’s Box-Office Losers.” Hollywood Reporter. Prometheus Global Media, 5 Jun. 2014. Web. <http://www.hollywoodreporter.com/news/adobe-predicts-summer-2014s-box-709417>. Breznican, Anthony. “‘Marvel One-Shot: Agent Carter’—First Look at Poster and Three Photos from the New Short!” EW.com. Entertainment Weekly, 11 July 2013. Web. <http://www.ew.com/article/2013/07/11/marvel-one-shot-agent-carter-first-look>. Brinker, Felix. “Transmedia Storytelling in the ‘Marvel Cinematic Universe’ and the Logics of Convergence-Era Popular Seriality.” Making the Marvel Universe: Transmedia and the Marvel Comics Brand. Ed. Matt Yockey. Austin: U of Texas P, forthcoming. Print. Captain America: The First Avenger. Dir. Joe Johnston. Perf. Chris Evans, Samuel L. Jackson, Hugo Weaving, Tommy Lee Jones, and Haylee Atwell. Marvel Studios, Paramount Pictures, 2011. Blu-Ray. Captain America: The Winter Solider. Dir. Anthony Russo and Joe Russo. Perf. Chris Evans, Samuel L. Jackson, Scarlett Johansson, Robert Redford, and Sebastian Stan. Marvel Studios, Walt Disney Video, 2014. DVD. De Kosnik, Abigail. “Fandom as Free Labor.” Digital Labor: The Internet as Playground and Factory. Ed. Trebor Scholz. New York: Routledge, 2013. Print. Denson, Shane. “Marvel Comics’ Frankenstein: A Case Study in the Media of Serial Figures.” Amerikastudien / American Studies. 56.4 (2011): 531-53. Print. Denson, Shane, and Andreas Jahn-Sudmann. “Digital Seriality: On the Serial Aesthetics and Practice of Digital Games.” Eludamos. Journal for Computer Game Culture 7.1 (2013): 1-32. Web. <http://www.eludamos.org/index.php/eludamos/article/view/vol7no1-1/7-1-1-html>. Denson, Shane, and Ruth Mayer. “Grenzgänger. Serielle Figuren im Medienwechsel.” In: Kelleter Populäre Serialität 185-203. Duffy, Mignon. “Doing the Dirty Work: Gender, Race, and Reproductive Labor in Historical Perspective.” Gender and Society 21.3 (2007): 313-36. Print. Eco, Umberto. “Casablanca: Cult Movies and Intertextual Collage.” SubStance 14.2 (1985): 3-12. Print. —. “Innovation and Repetition: Between Modern and Post-Modern Aesthetics.” Daedalus 114.4 (1985): 161-84. Print. Edwards, Jason. “The Materialism of Historical Materialism.” New Materialisms: Ontology, Agency, and Politics. Eds. Diana Coole and Samantha Frost. Durham: Duke UP, 2010. 281-98. Print. Flood, Alison. “Superheroes a ‘Cultural Catastrophe’, Says Comics Guru Alan Moore.” Guardian. Guardian News and Media, 21 Jan. 2014. Web. <http://www.theguardian.com/books/2014/jan/21/superheroes-cultural-catastrophe-alan-moore-comics-watchmen>. Grainge, Paul. Brand Hollywood: Selling Entertainment in a Global Media Age. New York: Routledge, 2008. Print. Hagedorn, Roger. “Technology and Economic Exploitation: The Serial as a Form of Narrative Presentation.” Wide Angle 10.4 (1988): 4-12. Print. Harper, Graeme. “DVD and the New Cinema of Complexity.” New Punk Cinema. Ed. Nicholas Rombes. Edinburgh: Edinburgh UP, 2005. 89-101. Print. Hayward, Jennifer. Consuming Pleasures: Active Audience and Serial Fictions from Dickens to Soap Opera. Lexington: UP of Kentucky, 1997. Print. Horkheimer, Max, and Theodor W. Adorno. “The Culture Industry: Enlightenment as Mass Deception.” Dialectic of Enlightenment: Philosophical Fragments. Ed. Gunzelin Schmid Noerr. Trans. Edmund Jephcott. Stanford: Stanford UP, 2002. 94-136. Print. Iron Man. Dir. Jon Favreau. Perf. Robert Downey Jr., Jeff Bridges, Gwyneth Paltrow, Terrence Howard, and Shaun Toub. Marvel Studios, Paramount Pictures. 2008. iTunes. Digital Video. Iron Man 2. Dir. Jon Favreau. Perf. Robert Downey Jr., Don Cheadle, Scarlett Johansson, Sam Rockwell, and Mickey Rourke. Marvel Studios, Paramount Pictures, Concorde Video. 2010. Blu-Ray. Iron Man 3. Dir. Shane Black. Perf. Robert Downey Jr., Guy Pearce, Gwyneth Paltrow, Jon Favreau, and Don Cheadle. Walt Disney Video. 2013. Blu-Ray. Jahn-Sudmann, Andreas, and Frank Kelleter. “Die Dynamik serieller Überbietung: Amerikanische Fernsehserien und das Konzept des Quality TV.” Kelleter Populäre Serialität 205-24. Jenkins, Henry. Convergence Culture: Where Old and New Media Collide. New York: UP, 2006. Print. —. “Transmedia 202: Further Reflections.” Confessions of an AcaFan: The Official Weblog of Henry Jenkins. Henry Jenkins, 1 Aug. 2011. Web. <http://henryjenkins.org/2011/08/defining_transmedia_further_re.html>. Johnson, Derek. “Cinematic Destiny: Marvel Studios and the Trade Stories of Industrial Convergence.” Cinema Journal 52:1 (Fall 2012): 1-24. Print. Kelleter, Frank, ed. Populäre Serialität: Narration—Evolution—Distinktion. Zum seriellen Erzählen seit dem 19. Jahrhundert. Bielefeld: Transcript, 2012. Print. —. “Populäre Serialität: Eine Einführung.” Kelleter Populäre Serialität 12-46. Print. Kelleter, Frank, and Daniel Stein. “Autorisierungspraktiken seriellen Erzählens: Zur Gattungsentwicklung von Superheldencomics.” Kelleter Populäre Serialität 259-90. Print. Kistler, Alan. “Marvel Studios Avengers Film Annotations.” Web log post. AlanSizzlerKistler. Alan Kistler, n.d. Web. Lazzarato, Maurizio. “Immaterial Labour.” Radical Thought in Italy: A Potential Politics. Eds. Paolo Virno and Michael Hardt. Minneapolis: U of Minnesota P, 1996. 132-47. Print. Loock, Kathleen, and Constantine Verevis. “Introduction: Remake | Remodel” Film Remakes, Adaptations, and Fan Productions: Remake | Remodel. Eds. Kathleen Loock and Constantine Verevis. 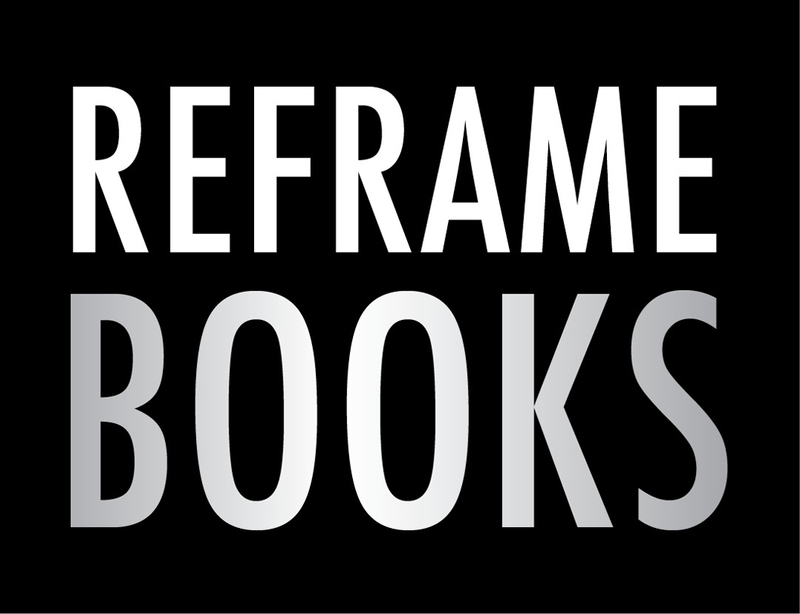 New York: Palgrave-Macmillan, 2012. 1-15. Print. Manovich, Lev. “Database as Symbolic Form.” Convergence: The International Journal of Research into New Media Technologies 5.2 (1999): 80-99. Print. “Marvel Cinematic Universe.” Wikipedia. Wikimedia Foundation, 24 Nov. 2014. Web. <https://en.wikipedia.org/wiki/Marvel_Cinematic_Universe>. Marvel Cinematic Universe Wiki. Wikia Inc. n.d. Web. <http://marvelcinematicuniverse.wikia.com/wiki/Marvel_Cinematic_Universe_Wiki>. Marvel Comics Database. Wikia Inc. n.d. Web. <http://marvel.wikia.com/wiki/Marvel_Comics>. Marvel’s Agents of S.H.I.E.L.D. Perf. Clark Gregg, Ming-Na Wen, Brett Dalton, Chloe Bennet, Iain De Caestecker, and Elizabeth Henstridge. Disney-ABC Domestic Television. Television. Marvel’s The Avengers. Dir. Joss Whedon. Perf. Robert Downey Jr., Chris Evans, Chris Hemsworth, Scarlett Johansson, and Samuel L. Jackson. Walt Disney Video, 2012. Blu-ray. Marx, Karl. Capital: A Critique of Political Economy. Volume One: The Process of Production of Capital. . Trans. Ben Fowkes. London: Penguin, 1976. Print. Mayer, Ruth. Serial Fu Manchu: The Chinese Supervillain and the Spread of Yellow Peril Ideology. Philadelphia: Temple UP, 2014. Print. Mittell, Jason. “Narrative Complexity in Contemporary American Television.” Velvet Light Trap 58 (2006): 29-40. Print. —. “Orienting Paratexts.” Complex TV: The Poetics of Contemporary Television Storytelling by Jason Mittell. Media Commons Press/MediaCommons.org. 20 Apr. 2012. Web. <http://mcpress.media-commons.org/complextelevision/orienting-paratexts/>. Mosco, Vincent. The Political Economy of Communication. 2nd ed. London: Sage, 2009. Print. Queenan, Joe. “Man of Steel: Does Hollywood Need Saving from Superheroes?” Guardian. Guardian News and Media, 12 June 2013. Web. <http://www.theguardian.com/film/2013/jun/11/man-steel-hollywood-break-superheroes>. Rogers, Adam. “Agents of S.H.I.E.L.D.’s Latest Comic Book Easter Eggs.” Wired.com. Conde Nast Digital, 11 Nov. 2013. Web. <http://www.wired.com/2013/11/agents-of-shield-episode-7/>. Shaviro, Steven. Connected, or What It Means to Live in the Network Society. Minneapolis: U of Minnesota P, 2003. Print. —. “Post-Continuity: Full Text of My Talk.” The Pinocchio Theory. Web. Reprinted in this volume. <http://www.shaviro.com/Blog/?p=1034>. Stanfill, Mel, and Megan Condis. “Fandom And/as Labor.” Transformative Works and Cultures 15 (2014). Web. Stork, Matthias. “Chaos Cinema: The Decline and Fall of Action Filmmaking.” Video essay. Press Play. 22 Aug. 2011. Web.<http://blogs.indiewire.com/pressplay/video_essay_matthias_stork_calls_out_the_chaos_cinema>. —. “Assembling the Avengers: Reframing the Superhero Movie through Marvel’s Cinematic Universe.” Superhero Synergies: Comic Book Characters Go Digital. Eds. James N. Gilmore and Matthias Stork. Plymouth: Rowman & Littlefield, 2014. E-book. —. “The Cultural Economics of Performance Space: Negotiating Fan, Labor, and Marketing Practices in Glee’s Transmedia Geography.” Transformative Works and Cultures 15 (2014). Web. <http://journal.transformativeworks.org/index.php/twc/article/view/490/420>. Terranova, Tiziana. Network Culture. Politics for the Information Age. London: Pluto P, 2004. Print. The Consultant. Dir. Leythum. Perf. Clark Gregg, Maximiliano Hernández, Robert Downey Jr. and William Hurt. Video. In: Thor. 2011. The Incredible Hulk. Dir. Louis Leterrier. Perf. Edward Norton, Liv Tyler, Tim Roth, William Hurt, and Robert Downey Jr. Marvel Studios, Universal, 2008. DVD. Thor. Dir. Kenneth Brannagh. Perf. Chris Hemsworth, Natalie Portman, Tom Hiddleston, Anthony Hopkins, and Samuel L. Jackson. 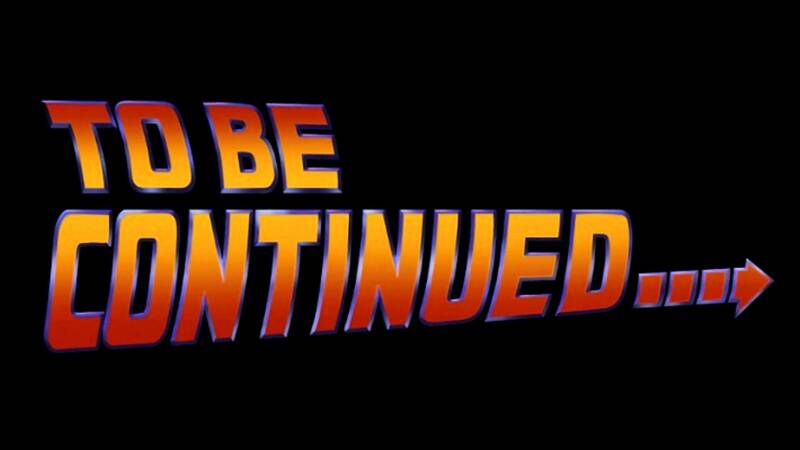 Marvel Studios, Paramount Pictures, Concorde Video. 2011. Blu-Ray. Thor: The Dark World. Dir. Alan Taylor. Perf. Chris Hemsworth, Natalie Portman, Tom Hiddleston, Anthony Hopkins, and Idris Elba. Marvel Studios, Walt Disney Video. 2014. Blu-Ray. Tryon, Chuck. Reinventing Cinema: Movies in the Age of Media Convergence. New Brunswick: Rutgers UP, 2009. Print. —. “Reboot Cinema.” Convergence: The International Journal of Research into New Media Technologies 19.4 (2013): 432-37. Print. Žižek, Slavoj. “Hollywood Today: Report from an Ideological Frontline.” The European Graduate School: Graduate and Postgraduate Studies. European Graduate School, 2009. Web. <http://www.lacan.com/essays/?page_id=347>. This chapter is part of an ongoing research project, which considers contemporary film and television adaptations of Marvel and DC properties as paradigmatic cases for the logics of popular seriality in the digital era. As such, it draws strongly on the work of the German Research Foundation’s research unit on “Popular Seriality—Aesthetics and Practices.” In particular, I would like to thank research unit members Frank Kelleter (Free University Berlin), Ruth Mayer, and Bettina Soller (Leibniz University of Hannover), as well as the participants of the FU’s Graduate School of North American Studies’ cultural studies colloquium, and the members of Leibniz University’s American Studies colloquium for providing helpful feedback and input during the writing of this chapter. The trend towards the serialization of cinematic output is a Hollywood phenomenon, but blockbuster series enjoy great commercial successes on the global market as well (and have done so for at least the last 15 years). Box-Office Mojo’s non-inflation-adjusted list of highest-grossing films worldwide represents this trend as clearly as the 2014 list cited above: its Top 15 features 12 sequels, prequels, adaptations or remakes—from Marvel’s The Avengers, Harry Potter and the Deathly Hallows 2, Iron Man 3, Transformers: Dark of the Moon, and Lord of the Rings: Return of the King, to Skyfall, Transformers: Age of Extinction, The Dark Knight Rises, and Pirates of the Caribbean: Dead Man’s Chest, as well as Toy Story 3 and Pirates of the Caribbean: On Stranger Tides—all of which were released after 1998. In a broader sense, the rest of the Top 15—Avatar, Titanic, Frozen and Jurassic Park—can be considered serial as well: Jurassic Park is an adaptation of Michael Crichton’s bestselling novel of the same name and, in turn, spawned a series of sequels and a lucrative media franchise; Avatar has sequels currently in production (and constitutes an entry in James Cameron’s cycle of science fiction films). Finally, Titanic is not the first film about the 1912 disaster, but instead a particularly successful installment of a series of Titanic films that all tell similar stories; similarly, Frozen belongs to the roster of Disney’s animated movies based on fairy tales. The overwhelming majority of the titles in the Top 50 of the list are serial in one way or another, too—i.e. sequels, prequels, adaptations, reboots, or remakes (“All Time”). I use the concept of political economy here roughly along the lines suggested by Vincent Mosco, who offers the definition of “the study of the social relations, particularly the power relations, that mutually constitute the production, distribution, and consumption of resources” (24). Accordingly, the purpose of this chapter is to locate popular serial formats within the social relations that structure and link the production, distribution, and consumption of cultural commodities (as a particular kind of resource) in capitalist societies. While the discipline of political economy encompasses a variety of theoretical and political perspectives, I draw on a more narrow Marxist tradition and consider media texts first and foremost as commodities, i.e. as products of profit-oriented cultural production whose form and function is determined both by commercial ends (i.e. their contribution to capital accumulation by the realization of their exchange value on the market) and by the needs of consumers (who seek to actualize the use value of commodities by consuming them as part of their everyday recreational practices) (see Marx 125-131). My understanding of a “Marxist political economy” corresponds to Jason Edwards’s characterization of historical materialism as “a heuristic for social and political study” put to use for an “analysis of the current social and political conditions of contemporary capitalist societies in light of their historical development, their embedded institutions and practices, and the contingent circumstances that serve to reproduce them . . . over time” (Edwards 282). These ideas turn up again and again in journalistic as well as academic discussions of cinematic serialization practices, frequently prompted by the release of superhero movies (see Loock and Verevis 1-3). Commenting on the release of 2013’s Man of Steel, Guardian film critic Joe Queenan (echoing filmmaker Steven Soderbergh), for example, complains that blockbuster series “are sucking the life out of motion pictures.” Similarly, comic book auteur Alan Moore reads the current popularity of superhero texts in film and elsewhere as a “culturally catastrophic” withdrawal from an ever more complex social reality, a view that echoes Slavoj Žižek’s diagnosis that Hollywood’s recycling of established properties and narratives is a “sign of a global ideological regression [that undermines] (emancipatory) reason” (Flood; Žižek). These positions usually go along with an idealization of popular culture (and Hollywood cinema) of the past, failing to consider the impact of social and technological change on the forms and functions of cinema. While Horkheimer and Adorno’s account also dismisses commercial cultural production as allegedly shallow and derivative, it does not limit this diagnosis to a specific subset of the field, but instead it identifies the principles of repetition and variation as endemic to mass culture in general (accordingly, the industry’s penchant for recycling established types of plots, characters, and styles is a recurring motif in their chapter on the culture industry). While their wholesale dismissal of mass culture is undoubtedly problematic (and strongly indebted to an ideal of aesthetic experience as disinterested, reflexive contemplation of works of art, to which mass- and pop-cultural products cannot live up), their application of concepts from the Marxian critique of political economy to mass culture is still helpful, as it allows us to conceptualize the production and consumption of cultural commodities as interconnected realms of social practice. Adorno here presents an argument that repeatedly resurfaces in his works on the culture industry, which, proceeding from the famous line from the chapter on the culture industry that “[e]ntertainment is the prolongation of work under late capitalism” (Horkheimer and Adorno 109), categorizes mass cultural artifacts as “commodities through and through” (Adorno, “Reconsidered” 100), and suggests that these cultural commodities are consumed as part of what Marx in Capital terms “means of subsistence,” i.e. those goods and services that wage-dependent workers consume in order to reconstitute their labor-power (whose exploitation, in turn, is the engine of capital accumulation) (Adorno “Thesen,” and Marx 274-275). This line of reasoning locates the role of cultural commodities for the reproduction of capitalist orders firmly within the realm of everyday practice; all further, more specific social functions of commodities—for the spread of ideology or the modulation of affect, for example—can occur because of their centrality for individual reproduction. Following Frank Kelleter, I understand serial narratives as “continuing narratives with constant sets of main characters which are produced according to rules of economic standardization (i.e. with a specialized division of labor and industrial means), which rely heavily on narrative schematization, and which target a mass audience” (“Einführung” 18—my translation). Along similar lines, Jennifer Hayward defines “serial narrative” as follows: “A serial is, by definition, an ongoing narrative released in successive parts. . . . [S]erial narratives . . . include refusal of closure; intertwined subplots; large casts of characters (incorporating a diverse range of age, gender, class, and, increasingly, race presentation to attract a similarly diverse audience); interaction with current political, social, or cultural issues; dependence on profit; and acknowledgement of audience response” (Hayward 3). Serial narratives in this sense have been a mainstay of popular culture since the first half of the 19th century and can be considered, as Roger Hagedorn notes, “a dominant mode of narrative presentation in western culture—if not in fact the dominant mode” (Hagedorn 5; see also Kelleter, “Einführung” 18-19). Drawing on Deleuze and Guattari’s concept of the “machine” and the “machinic,” Mayer discusses popular serial narratives as “contraption[s] or ensemble[s] that conjoin . . . living beings and technological apparatuses into intricately layered arrangements of interaction” (7); within such constellations of interaction, the agency of authors and audiences is only “one among many factors within a larger network of cultural meaning making” (12). In a similar manner, Kelleter and Stein understand popular series as actor-networks in which agency is dispersed among different kinds of actors (see Kelleter, “Einführung” 20; Kelleter and Stein 260). For an overview on conceptualizations of audience practice as labor, see Bolin 796-801 as well as Stanfill and Condis; for a number of recent takes on fan production as labor, see De Kosnik, as well as the Transformative Works and Cultures special issue on “Fandom and/as Labor” edited by Stanfill and Condis; for a discussion of television fan practice as labor, see Stork, “Cultural Economics.” Terranova’s notion of “free labor”—which in my opinion is the most useful conceptualization of labor in this context—constitutes a conceptual bridge between the Marxian category of “reproductive labor”—which refers to typically unpaid work carried out in the private sphere for reproduction of labor-power (see Bolin 804, Duffy 315)—and Maurizio Lazzarato’s concept of “immaterial labor” (which refers to the predominant form of work in postindustrial and computerized societies and involves, among other things, the handling of information, communicative processes, and the navigation of tastes and cultural distinctions) (Lazzarato 132-139). Bolin argues that, while active and textually and culturally productive audiences have always been central to cultural production, it is the “new information and communication technologies that . . . provide tools for creativity [to] . . . media users, [and] also the media and culture industries with the means of surveillance and control” (797; for discussions of pre-digital active audiences, see Hayward). In all likelihood, the importance of audiences’ online practices—from user data gathered by algorithmic surveillance mechanisms that operate in the background of video-on-demand services, to audiences’ activities in social media services—is only going to increase in the era of “big data,” as services like Adobe’s Digital Index—which mines and processes user activity on social media sites like Twitter, Facebook, and YouTube in order to predict the box-office performance of blockbusters before their release—become widespread tools for marketing and production of media franchises (Bond). Jenkins’s conception of “participatory culture,” which informs his Convergence Culture as well as his conception of transmedia storytelling, describes the cultural and textual production of audiences and its expressions online as examples of fundamentally democratic communication and problem-solving processes that could be productively transferred into a more traditionally political context and thus “prepar[e] the way for a more meaningful public culture” (228; see also 25-58, 206-239; Kelleter and Stein 262n8). Jenkins’s overly enthusiastic appraisal of the democratizing potentials of contemporary popular culture comes at the cost of a disregard for the socio-economic context in which the products he discusses circulate. For a critical engagement with Pierre Lévy’s notion of “collective intelligence” (which informs Jenkins’s discussion of convergence-era popular culture and its politics), see Terranova 73-97. It is thus not a coincidence that serialization practices in cinema become more prominent and visible during a period that also witnesses a renewed interest in, and experimentation with, serial formats on network and cable television, as well as serial television’s move to VOD services like Netflix—each of these media channels tries to capitalize on the potential of serial narratives to build and steadily expand a loyal base of consumers in a moment in which digitization results in a larger transformation of the media environment. I present a longer and more detailed discussion of the franchise’s storytelling strategies and its combination of different modes of serial narration in my article on “Transmedia Storytelling in the ‘Marvel Cinematic Universe’ and the Logics of Convergence-Era Popular Seriality” (see Brinker). At the time of writing, the films of the MCU are: Iron Man, The Incredible Hulk (both 2008), Iron Man 2 (2010), Thor, Captain America: The First Avenger (both 2011), Marvel’s The Avengers(2012), Iron Man 3, Thor: The Dark World (both 2013), Captain America: The Winter Soldier as well as Guardians of the Galaxy (both 2014). For an updated overview on the spread of the franchise, see the Wikipedia-entry on the “Marvel Cinematic Universe.” For an examination of the MCU’s marketing logics, see Stork, “Assembling,” as well as Johnson. Aside from the films, the MCU also prominently features the ABC television series Agents of S.H.I.E.L.D. Further cinematic installments, along with 6 additional television series (five limited-run shows based on the characters of Daredevil, Jessica Jones, Iron Fist, Luke Cage and The Defenders for the for VOD provider Netflix, and the ABC show Agent Carter) are currently in (pre-)production. As Derek Johnson notes, the MCU resulted from Marvel Entertainment’s endeavor to regain control over the production of Marvel superhero films and to profit more directly from adaptations of their properties—before 2008, Marvel Studios (Marvel Entertainment’s film production subsidiary) licensed its lucrative properties and characters out to other studios (prominently, to Fox and Sony, which still possess the rights to the Spider-Man and X-Men franchises, whose entries compete with the releases of Marvel Studios at the box-office) (10-12). The “Marvel One-Shots” so far encompass the shorts The Consultant (included on the Thor Blu-ray), A Funny Thing Happened on the Way to Thor’s Hammer (included on the Captain America: The First Avenger release), Item 47 (bonus content for Marvel’s The Avengers), Agent Carter (Iron Man 3), and All Hail the King (Thor: The Dark World). Each of the One-Shots narrates the exploits of minor characters from one of the preceding films, though usually not from the film for which they function as bonus content (i.e. The Consultant expands on the post-credits scene from The Incredible Hulk, while Agent Carter centers on the eponymous character who also appeared in the first Captain America-movie, etc. ); by doing so, they expand on the shared storyworld and alert viewers to the larger series context. While the narratives of the One-Shots remain episodic and largely inconsequential for the films or the television series, they serve an important purpose for the MCU as a whole, as they function to test the waters for the potential success of future installments of the franchise. The positive reception of the Item 47 and Agent Carter shorts, for example, played a key role in Marvel Studios’ greenlighting of the ABC television shows Agents of S.H.I.E.L.D. and Agent Carter (Breznican). See also Ruth Mayer’s contribution to this volume. Among these efforts, Warner’s upcoming string of DC comics adaptations (following Zack Snyder’s Man of Steel and building up to a Batman Vs. Superman event movie, and an eventual Justice League film) is probably the most prominent, but not the only example that seems to mimic the MCU’s model of serialization; Sony’s The Amazing Spider-Man and Fox’s X-Men franchises fit the bill as well, as do several other attempts to create similar “megafranchises” (see Anders, as well as Stork, “Assembling”). It should be noted that the MCU’s combination of different modes of serialization follows in the wake of other successful media franchises that work according to similar logics—the Men in Black franchise, for example, which began by adapting Lowell Cunningham’s The Men in Black comic book series for the 1997 movie starring Will Smith and Tommy Lee Jones, spun-off an animated television series in 2001, and spawned two film sequels in 2002 and 2012. The Star Wars and Star Trek franchises also unfold in a similar manner and across several media. The MCU is nonetheless unique in its transmedial scope, rapid expansion, and short-term commercial success. Felix Brinker is a doctoral candidate at the John F. Kennedy Institute’s Graduate School of North American Studies at the Free University of Berlin, as well as an associate member of the DFG Research Unit “Popular Seriality—Aesthetics and Practice.” He holds a BA in American Studies and Political Science, as well as an MA in American Studies from Leibniz University Hannover, where he completed his studies in 2012 with a thesis on “The Aesthetics of Conspiracy in Contemporary American Serial Television.” His dissertation project discusses the media franchises built around recent superhero blockbuster films as examples of a neoliberal popular culture. His research interests include popular seriality, film and television studies, media theory, critical theory, and the politics of American popular culture.